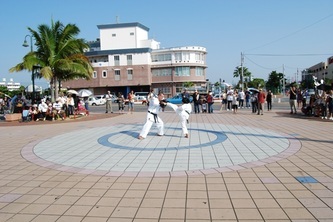 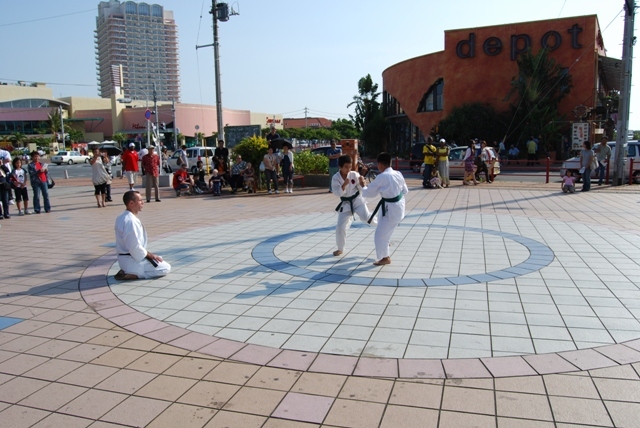 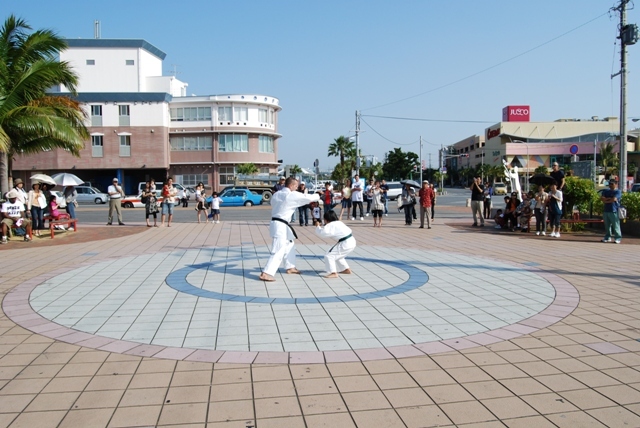 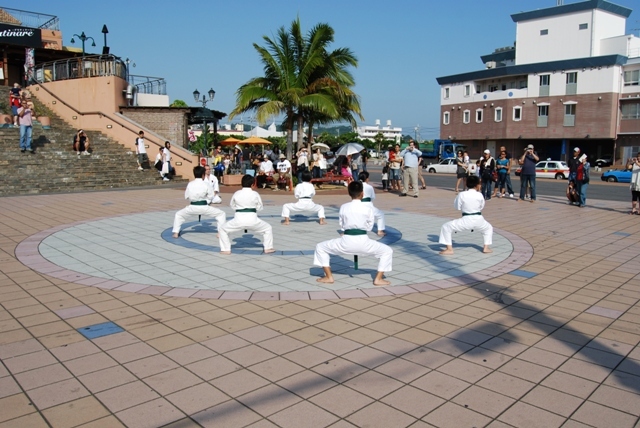 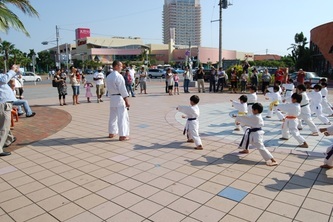 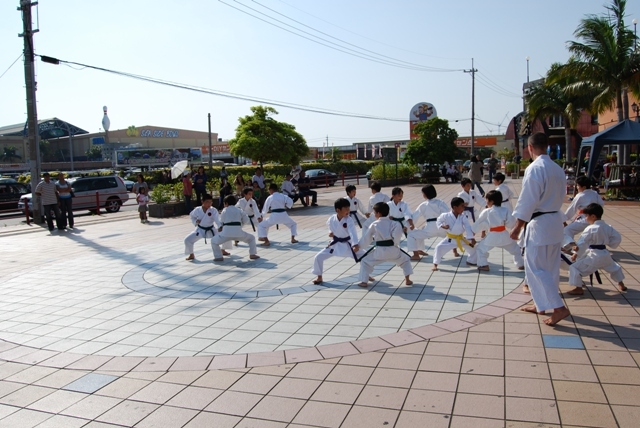 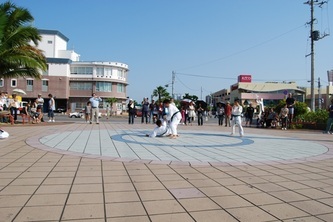 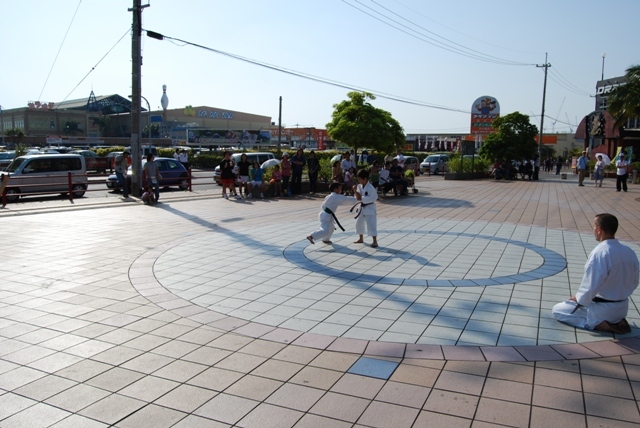 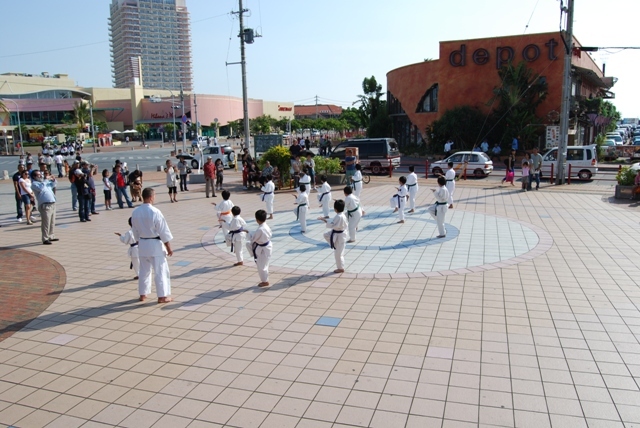 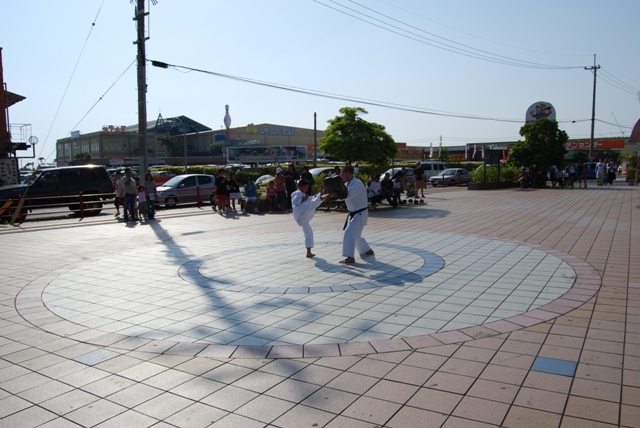 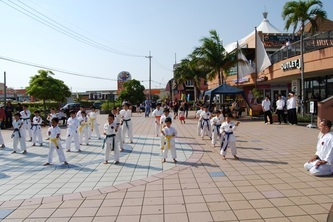 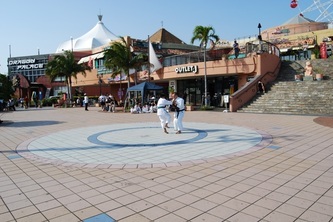 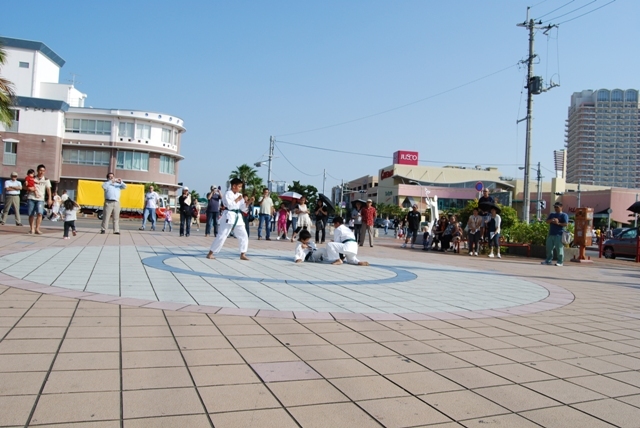 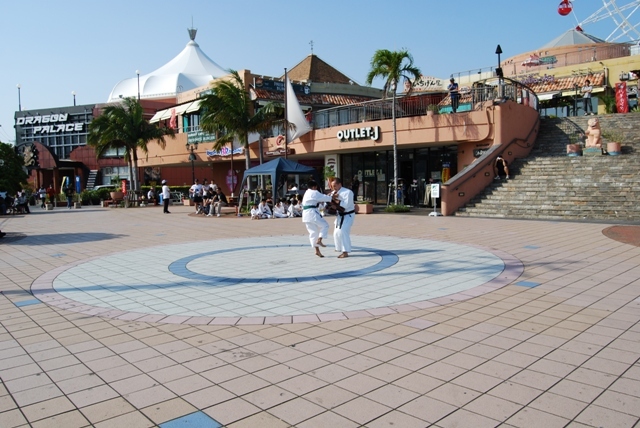 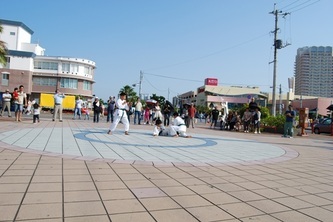 On 9 May 2009 my students held a demonstration at Carnival Park in Chatan (Okinawa). 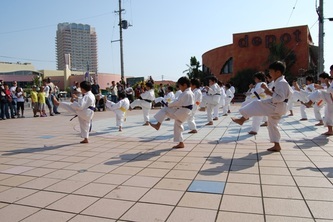 They performed basic techniques (Kihon), Kata and application (bunkai), and for the first time sparring techniques with hand mitts, kick mitts and free sparring (irikumi). It was a cold day and I am proud of my young students who tolerated the hot ground and gave a good performance all the same.